Is traditional print dead and buried with the growth of digital media? People have grown up reading traditional books and magazines; that is the reading experience that we all know and love. Over the years the experience has begun to change somewhat with the introduction of the digital world. The reading of the actual words remains the same; that is still how they taught us at school. The way that content is presented to us has changed though. We are growing more accustomed to clicking and swiping though magazines on websites. So is the age of traditional print dead and gone? 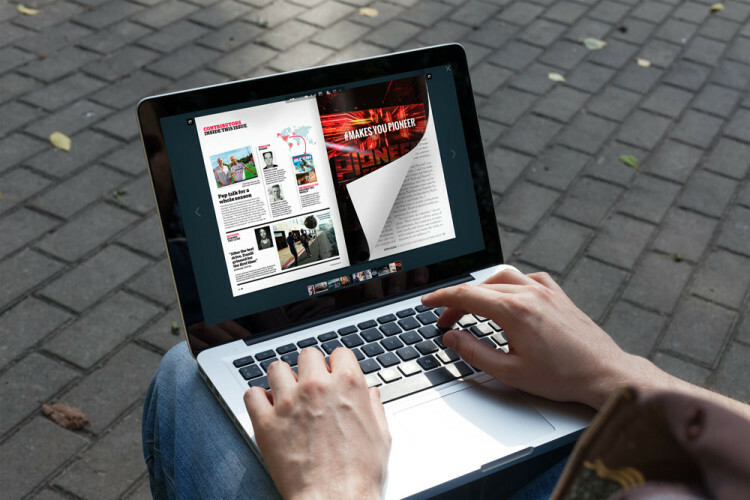 We are going to take a look at how easy it is to create an online magazine or brochure and whether this type of brochure will ever replace traditional print altogether. How can you create a digital brochure or magazine? If you take a look at nmhytg.com you can see who simple it is to create great looking online publications. All you have to do is gather your content in pdf format and then upload the pdf to conversion software so that you can turn it in to an impressive looking flipbook that is sure to attract more viewers than a plain looking pdf document ever would. Once you have uploaded the pdf, and created an account, all you have to do is choose to convert and the process is completed automatically. You end up with a glossy flipbook which can contain audio and video content as well as links to important supplementary content. You can see how this makes for a complete reading experience. How can traditional print survive? You may be thinking that if online publications such as flipbooks can provide such an enhanced experience, how can traditional print possibly survive? It has to be said that the print industry has reduced in size over the years, partly due to an increase in digital publications and party due to changes in technology in the print industry itself. That being said, there is nothing to suggest that the traditional print industry is dead just yet. Many printed publications are now coming back to the fore; especially those in niche market. Obviously, the more niche the market, the less likely there is to be a huge amount of digital content available. It does not pay to develop content for a niche market at the same rate as for a normal market. This is why there is always likely to be a need for traditional printed content in these niche arrears. Some people have spoken about digital killing off traditional print for years, but it still hasn’t happened. The balance may have changed, with digital offering some experiences that traditional print never can. But, people will ways enjoy the feeling of holding a magazine in their hands and many of the more niche markets will often find it more beneficial to reach their audience in print. It does not seem as though traditional print is dead just yet; far from it.